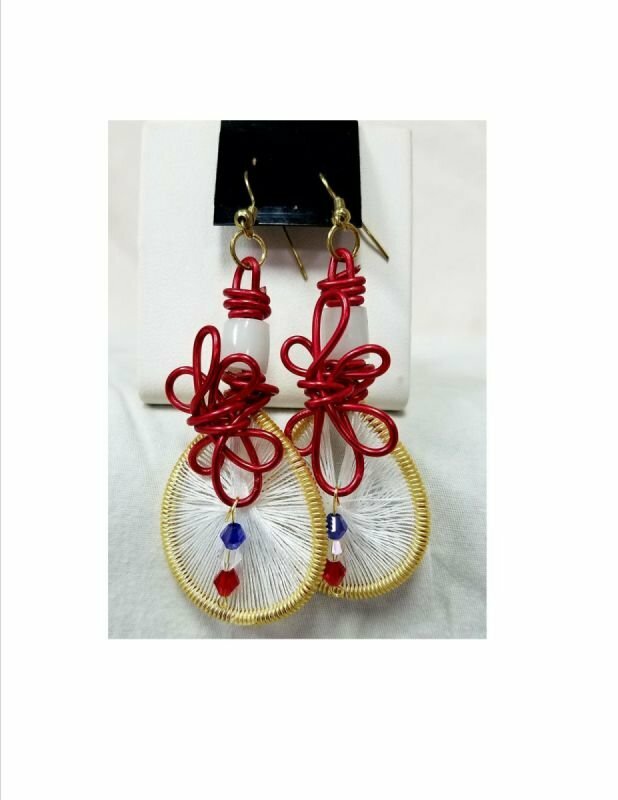 1.5" Teardrop wire/string art with gold and red wire, red/white/blue glass beads. 2.5" overall. Origional design.